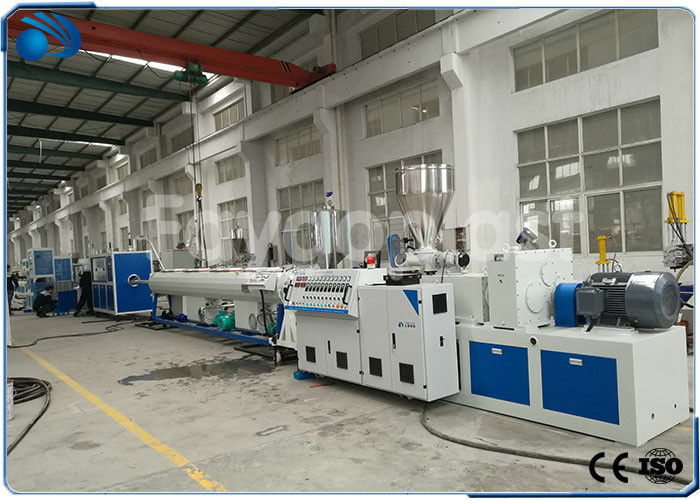 This line is mainly used for producing PVC pipes with diameter 50, 75mm, 90mm, 110mm, 125mm, 160mm. By changing the mandril, it can produce pipes with different pipe wall thickness. With different mold, it can also produce PVC silent pipes. 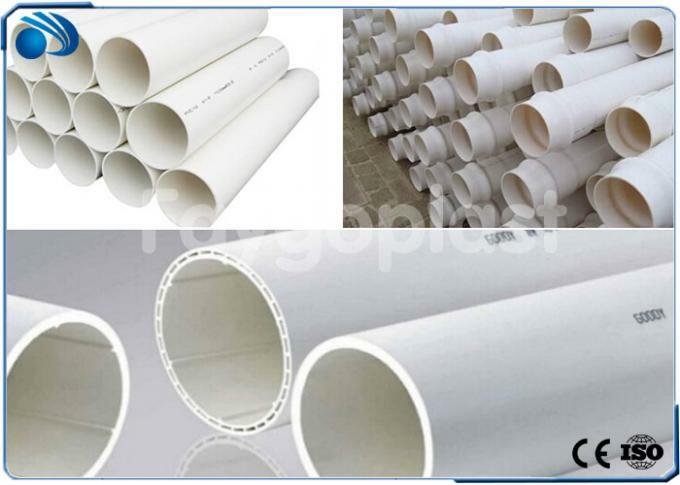 PVC pipes can use for the aspects such as the agricultural and constructional plumbing, cable laying etc. 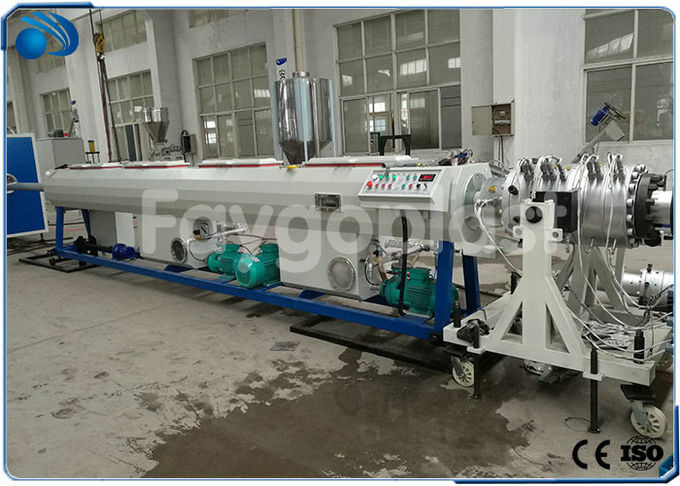 The tank body adopt two chamber structure: the vacuum calibration and cooling parts. 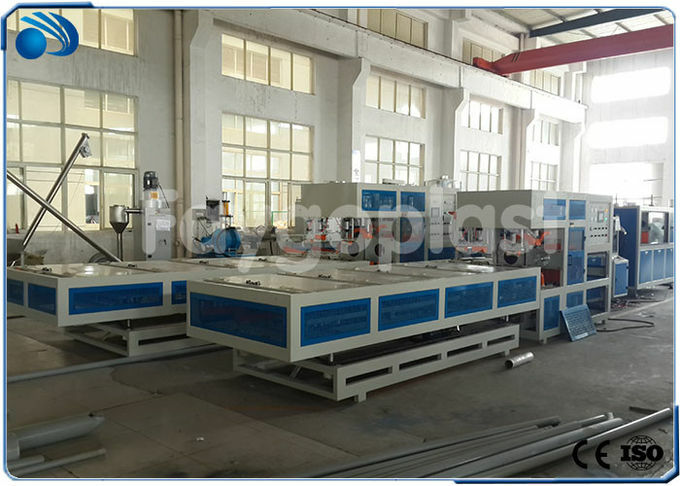 Both of them adopt stainless steel 304# . The excellent vacuum system ensures the precise sizing for pipes; spraying cooling will improves the cooling efficiency; Auto water temperature control system make the machine more intelligent.